……is NOW available on Amazon! My newest book is published!!! 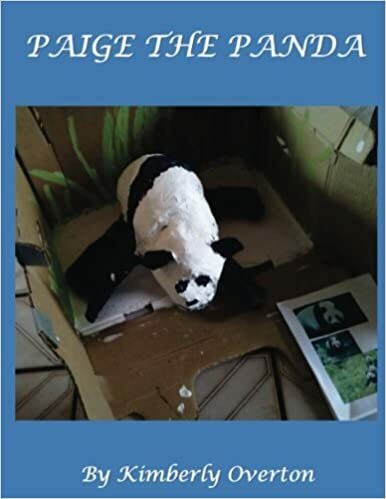 Paige the Panda is the story of how a girl’s vision brings to us an endangered Great Panda named Paige, and how a boy’s vision shares with us the black-footed ferret, Speedy. It is the larger story of how hands -on vision can change the world. This story also provides a guide to creating your own animal sculpture at home using recycled items, tape, flour and water, with the help of a little engineering and the creative process. This entry was posted in Childrens Illustrated Books, education and tagged art, art and engineering, art for kids, black-footed ferret, books, children, creativity, endangered panda, endangered species, environmentalism, gloabl warming, global warming, global warming for kids, great panda, green books, green books for youth, paper mache, paper mache sculpture for kids, picture books, recyled art, scuplture for kids, sustainability. Bookmark the permalink.